Busy Building Things is both an online store and a community where you can pick up inspiring art, made just for creators. The team behind BBT make quite a lot of waves for its Real Artists Ship graphic, inspired by a quote from Steve Jobs. According to cofounder Robleh Jama, the most humbling part of all the attention they received “was to see our Real Artists Ship print that went viral after the passing of Steve Jobs now end up at 1 Infinite Loop.” So far Apple, Facebook, Fab and Flipboard are all patrons of BBT. Besides it’s viral print, the site has tons more inspiring pieces, available as free desktop, iPad and iPhone wallpapers, letterpress prints, art blocks and stickers. I personally love the Rise & Grind and Hustle prints. It began as a motto that we adopted and encouraged our peers to as well. We then asked, “How can we make this movement more tangible?” So we resolved to create products that spoke to the ethos of the momentum we were trying to build. An example of this is our ‘Real Artists Ship’ print by our awesome designer Andrew which brings the late Steve Job’s words to life. We shared it with the world and suddenly buzz started to build around what would eventually become a full-fledged inspiration shop. However, this is just the beginning. BBT is committed to entrepreneurs, creatives, artistans, and tinkerers everywhere. We want to build a global community of builders and we’re keenly interested in what you’re working on. By using the #busybuildingthings hashtag on Twitter or Instagram, your tweet or photo will show up directly in our creators community. Members will then able to see and share your stuff thus exposing you to a greater audience and connecting you with other builders. Moving forward, we’ll be supporting more services and experimenting with this feature to better reflect activity occurring within our community. Beyond the products, BBT hopes to generate real inspiration amongst the creative community. This is why a section of the site is dedicated to seeing what other go-getters are working on and sharing. Checkout the site, FAQ and team blog to learn more about the team behind this project. 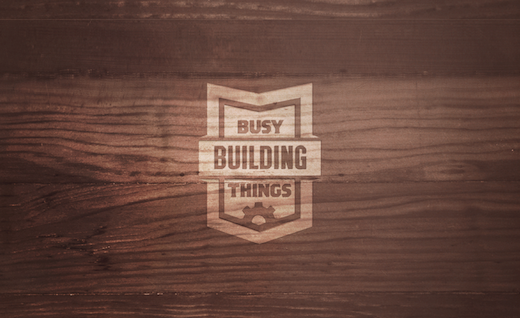 Get inspired and get #busybuildingthings!